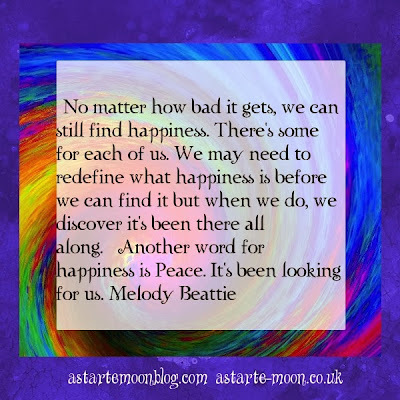 I adore the writing of Melody Beattie she writes from the heart with words that really speak directly to the heart of the reader, bringing sunshine on a dull day. Melody Beattie is the writer of a number of superb inspirational books. Melody has written a lovely book of meditations Journey to the Heart: Daily Meditations on the Path to Freeing Your Soul In the spirit of her bestselling"The Language of Letting Go", a beloved inspirational writer guides us on a sacred journey as we learn to expand our creativity, embrace our powers, and open our hearts. Writing with the same warmth, honesty, and compassion that has attracted such a loyal following, Melody Beattie now charts a new path toward spiritual growth and renewal. In 365 insightful and delightfully warm daily reflections, "Journey to the Heart" will comfort and inspire us all as we begin to discover our true purpose in the world and learn to connect even more deeply with ourselves, the creative force, and the magic and mystery in the world around and within us.